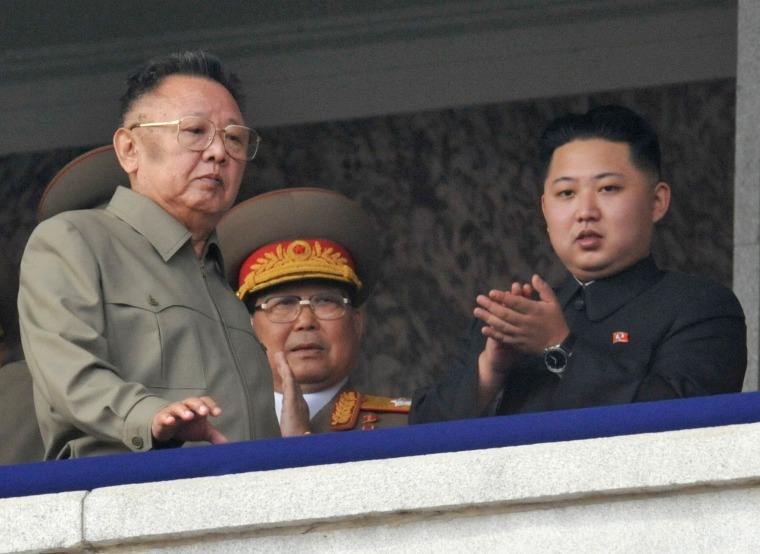 Kim Jong Un is the third member of his family to rule the unpredictable and reclusive communist state of North Korea. The North Korean dictatorship established by Kim Il Sung after World War II was taken over by his son Kim Jong Il in the 1990s. Kim Jong Un succeeded his father in 2011. 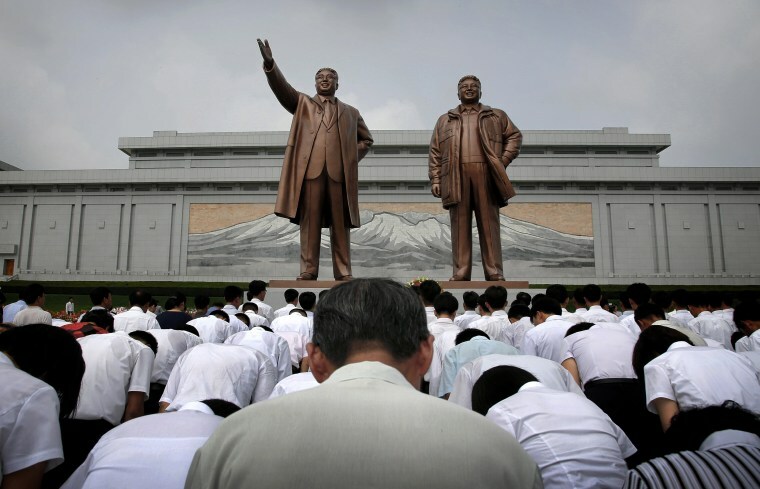 At left: North Koreans bow in front of bronze statues of late leaders Kim Il Sung, left, and Kim Jong Il at Munsu Hill in Pyongyang in 2015. 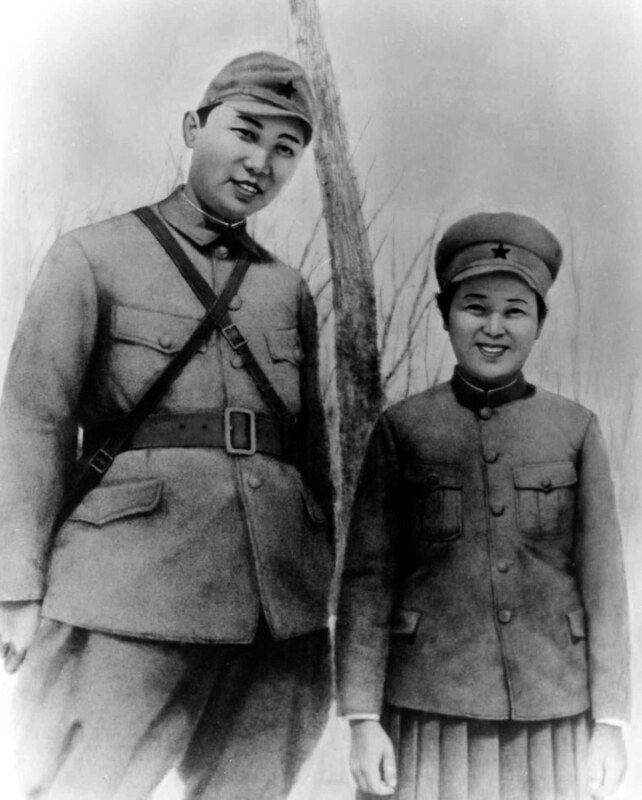 Kim Il Sung stands with his future wife Kim Jong Suk when they were anti-Japanese guerrillas in the 1930s. Before he came to power, Kim Il Sung is credited with playing a key role in liberating Korea during World War II. 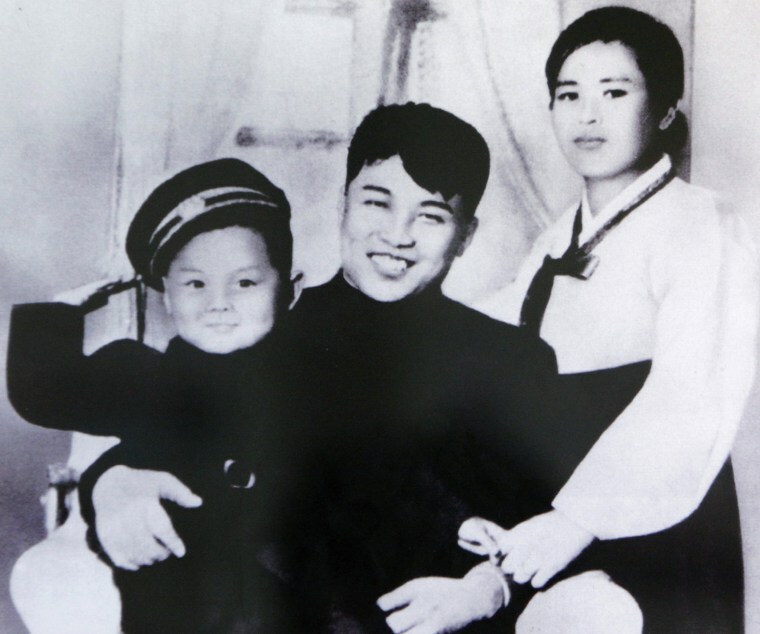 Kim Il Sung poses with his first wife Kim Jong Suk and his son Kim Jong Il in the 1940s. 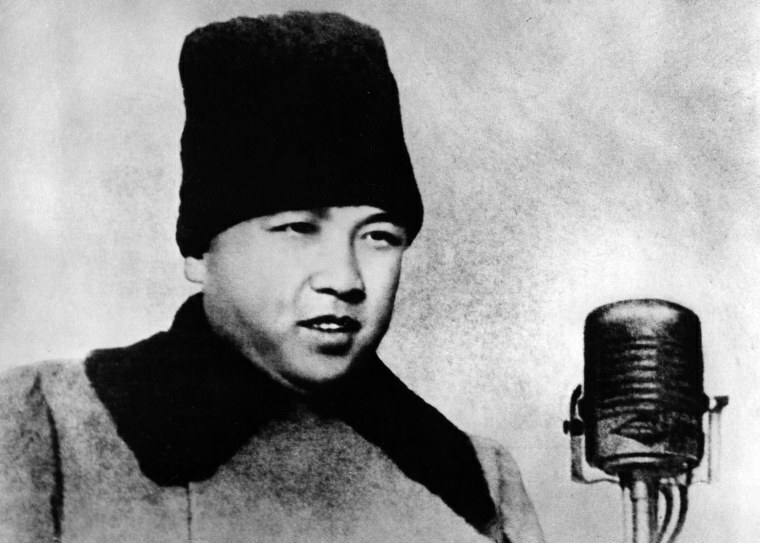 After World War II and the the end of the Japanese occupation, Kim Il Sung was installed by the Soviets as the leader of the newly proclaimed Democratic Republic of North Korea. Kim purged political enemies and built one of the world's most rigid dictatorships and isolated societies. At left: Supreme commander Kim Il Sung attends the military parade celebrating the creation of the Korean People's Army in February 1948. 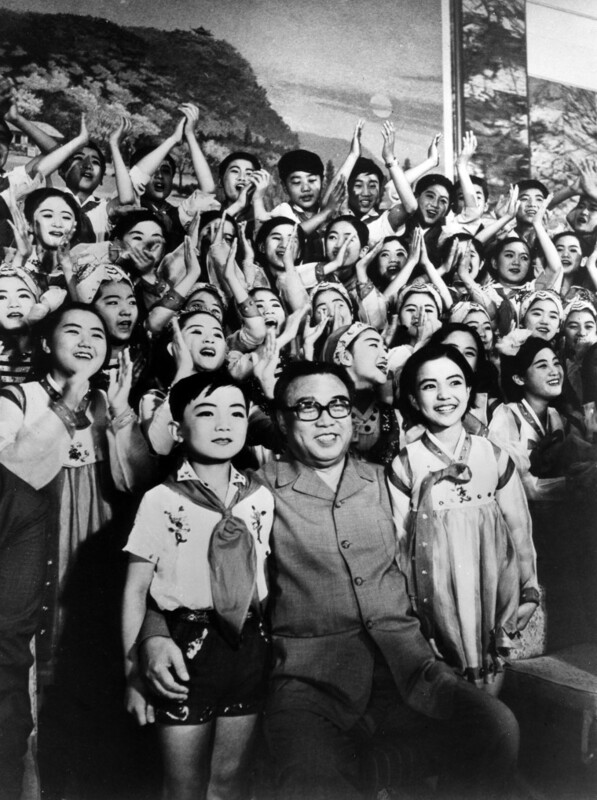 Kim Il Sung poses with North Korean students after enjoying a performance of dancing and singing in 1978. 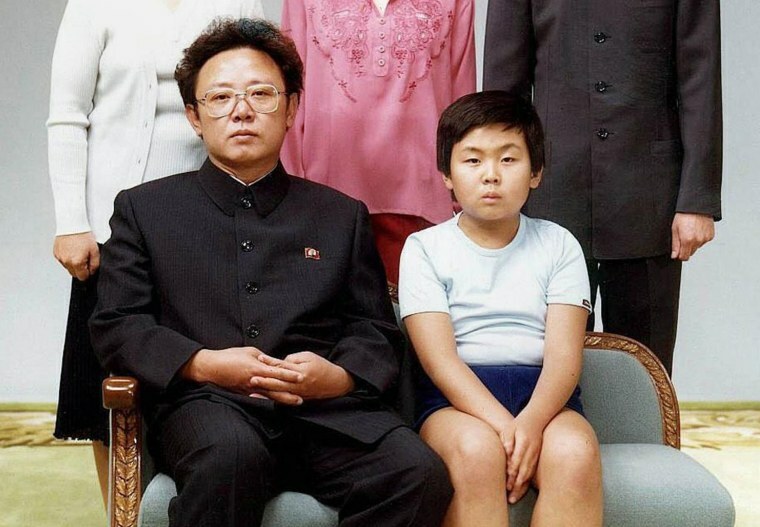 Kim Jong Il sits with his son, Kim Jong Nam, Kim Jong Un's older half-brother, in Pyongyang in 1981. After attending elite schools in the 1990s it was said that Kim Jong Nam was his father's choice to be his successor. But he earned a reputation for drinking and gambling and fell out of favor after he was caught trying to enter Japan on a false passport in 2001. 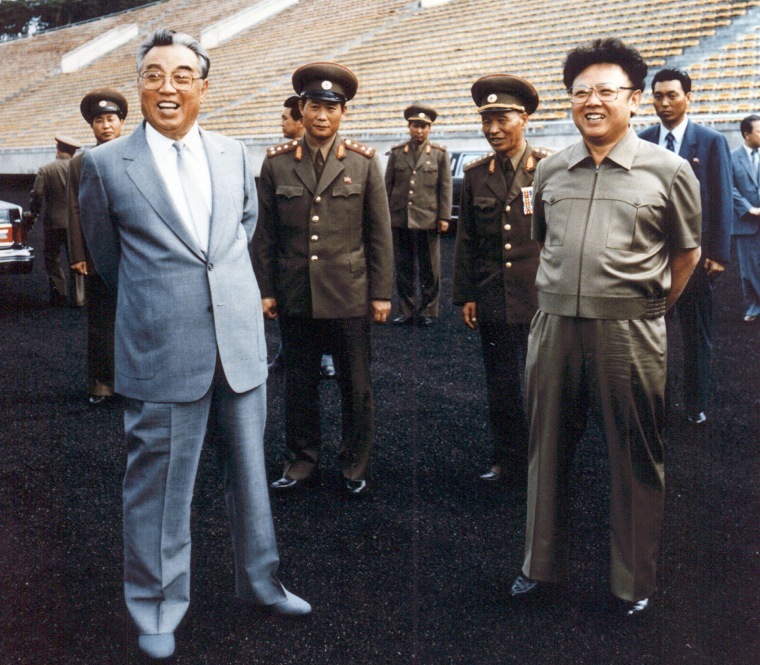 North Korean leader Kim Il Sung, left, and his son Kim Jong Il visit a soccer stadium in Pyongyang in 1992. 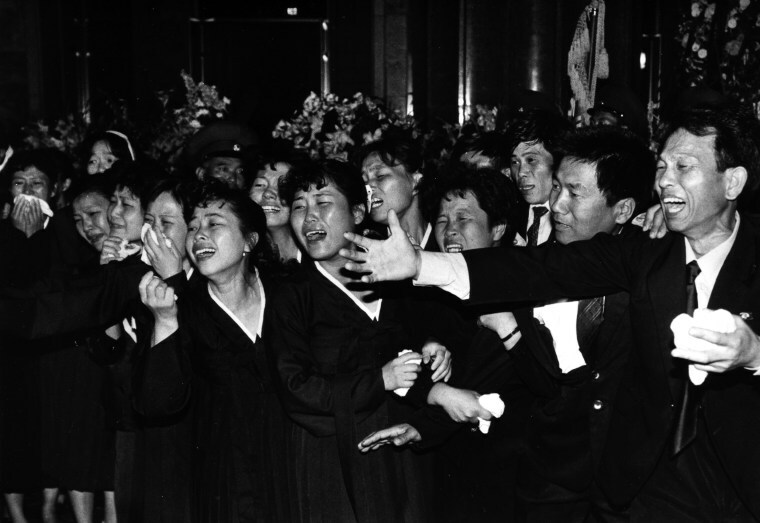 Mourners wail in front of the coffin of Kim Il Sung after his death in July 1994. After his father's death, Kim Jong Il consolidated his power and ruled with an iron hand. 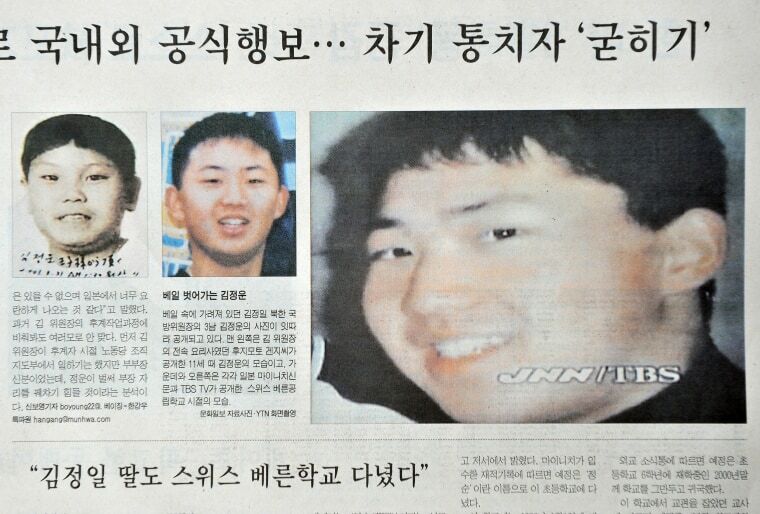 Pictures of Kim Jong Un in his youth are rare, but these pictures appeared in the South Korean newspaper Munhwa Ilbo in 2009. Secrecy shrouded Kim Jong Un's childhood, but he is known to have attended an English language international school in Switzerland under a fake name. Ex-classmates say he was a fan of Michael Jordan, Jackie Chan and Jean-Claude Van Damme. North Korean leader Kim Jong Il, left, walks in front of his chosen successor, Kim Jong Un, as they watch a parade commemorating the anniversary of the founding of the Workers' Party of Korea in Pyongyang on Oct. 10, 2010. 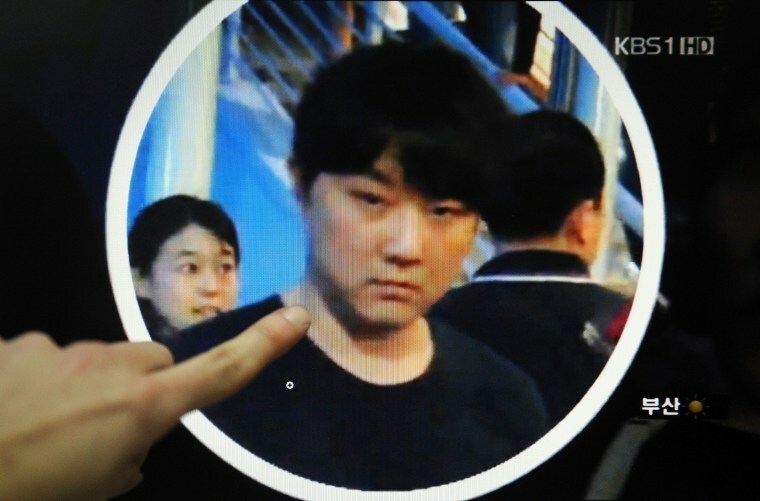 A computer screen shows a man believed to be Kim Jong Il's second son, Kim Jong Chol, at an Eric Clapton concert in Singapore on Feb. 14, 2011. TV footage showed the man resembling Jong Chol, known to be an avid Clapton fan, entering the stadium accompanied by some 20 people, including bodyguards and women carrying bouquets. Jong Chul was passed over in the line of succession for his younger brother. According to a book written by a family chef, Jong Chul was thought to be too "girlish" to take the helm. 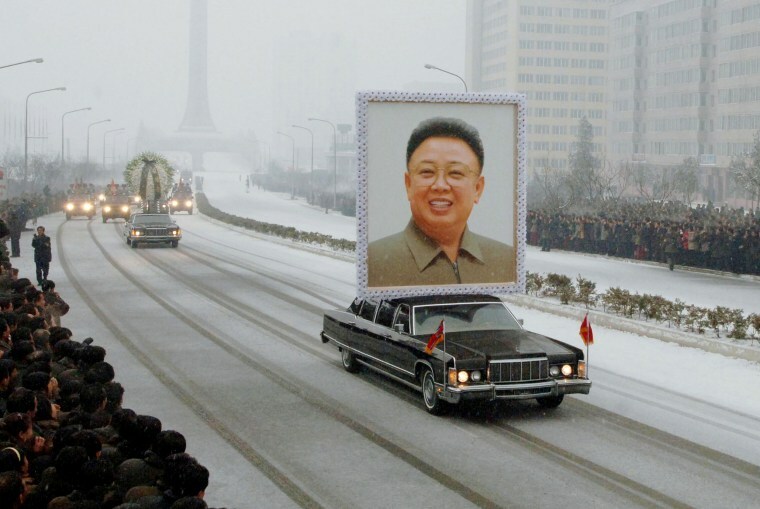 A car carries a portrait of late North Korean leader Kim Jong Il during his funeral procession through the streets of Pyongyang on Dec. 28, 2011. 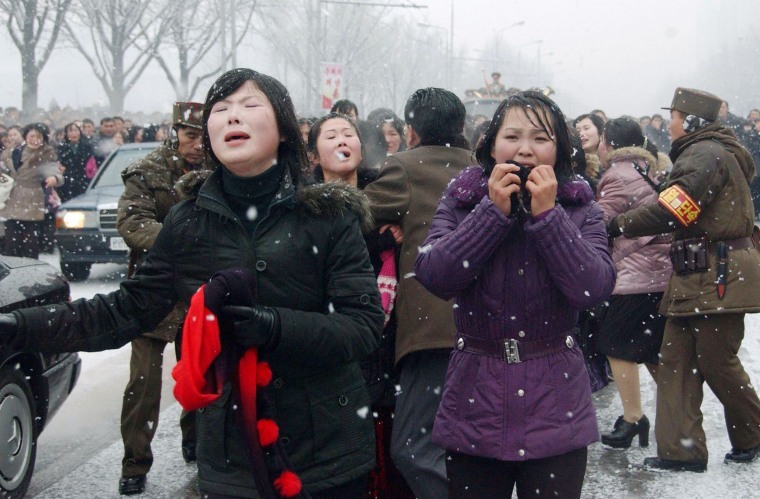 Mourners react as a car carrying Kim Jong Il's body passes during the funeral procession in Pyongyang on Dec. 28, 2011. 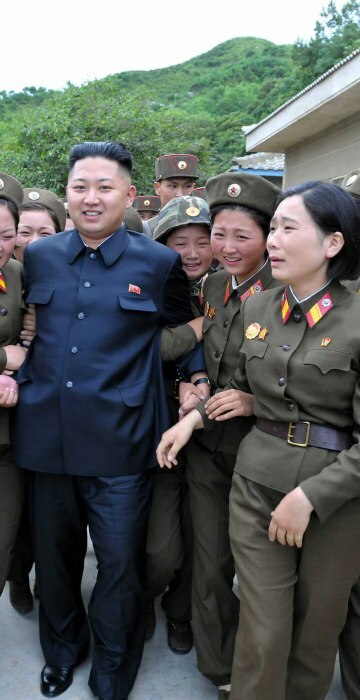 Millions of grief-stricken people turned out to mourn Kim Jong-Il. 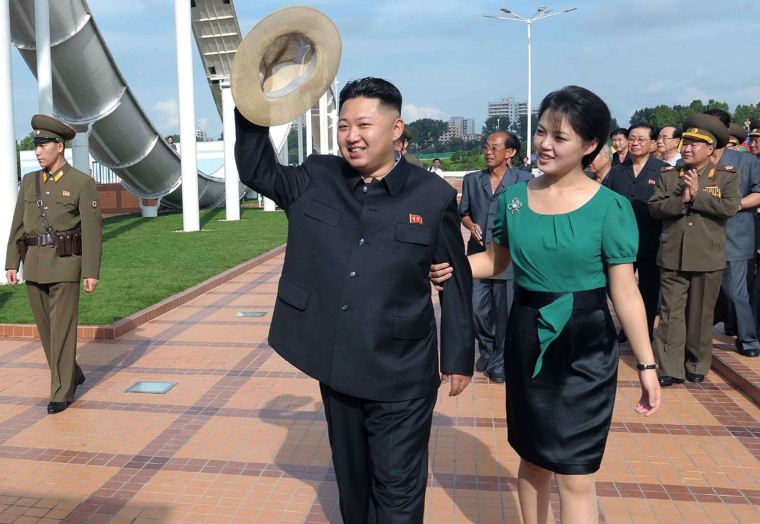 North Korean leader Kim Jong Un is accompanied by his wife Ri Sol Ju as they visit the Rungna People's Pleasure Ground in Pyongyang on July 25, 2012. Kim Jong Un's age is unverified but he was believed to be the youngest head of state in the world when he took power. 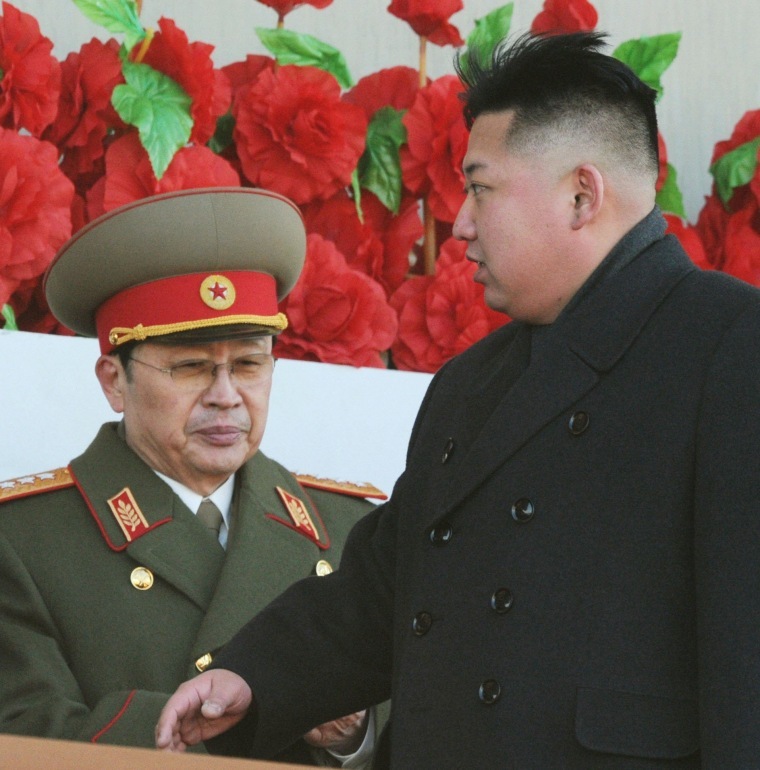 North Korean leader Kim Jong Un walks past his uncle, Jang Song Thaek, during a military parade in Pyongyang on Feb. 16, 2012. Declared a traitor, Jang was executed in 2013. It was a stunning end for the leader's former mentor, long considered the country's No. 2. In a sharp reversal of the popular image of Jang Song Thaek as a kindly uncle guiding young leader Kim Jong Un as he consolidated power, North's Korea's official news agency claimed that Jang instead saw the death of Kim Jong Il in 2011 as an opportunity to challenge his nephew and win power. Hazmat crews work at the Kuala Lumpur International Airport on Feb. 26, 2017, following the death of Kim Jong Nam, seen at right. 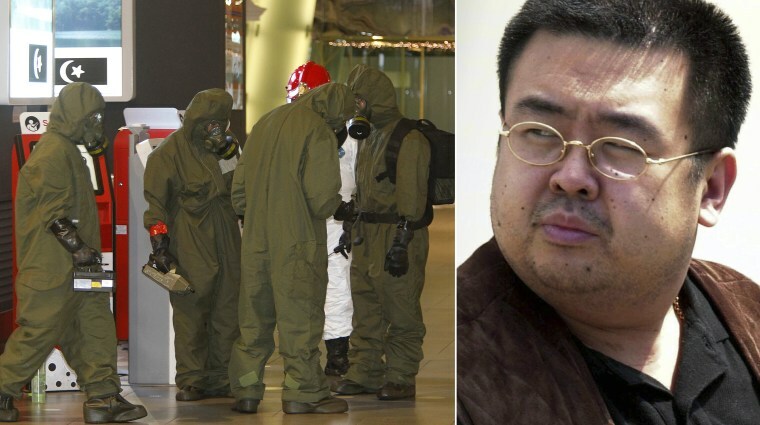 Kim Jong Nam, the older half-brother of Kim Jong Un, was killed at the airport in Malaysia on Feb. 13 by a highly toxic nerve agent in what U.S. and South Korean officials have described as an assassination organized by North Korean agents. 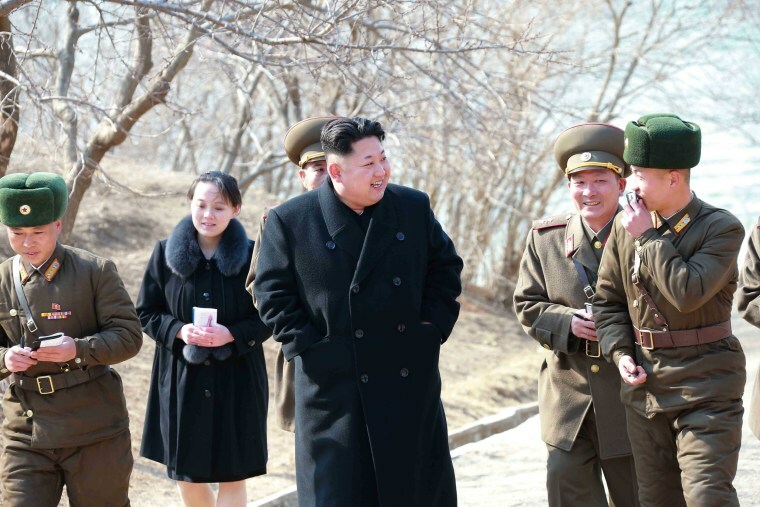 Kim Yo Jong accompanies her older brother, Kim Jong Un, during a tour of a military unit near the sea border with South Korea in the East Sea in 2015. Kim Yo Jong was made an alternate member of the politburo - the top decision-making body over which Kim Jong Un presides, in October 2017. Her promotion indicated that she has become a replacement for Kim Jong Un's aunt, Kim Kyong Hee, who had been a key decision maker when former leader Kim Jong Il was alive. 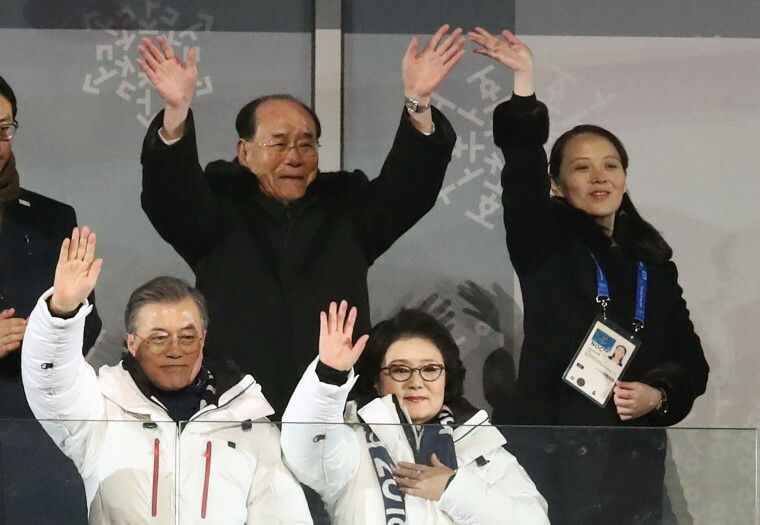 Kim Yo Jong waves as she stands next to North Korea's ceremonial head of state Kim Yong Nam and behind South Korean President Moon Jae-in during the opening ceremony of the Pyeongchang 2018 Winter Olympic Games on Feb. 9, 2018. Kim Yo Jong’s trip, a rare visit to the South by a member of the North’s ruling family, is a measure of her political clout, according to analysts.